Its is very easy to transfer contact from Android to Android phone. 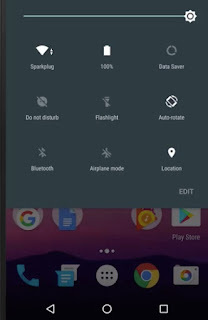 You have two option, you can use Google own sync setting or install third party apps. We show you the Google Sync method. First you need to install Gmail Android Apps and setup gmail account. If you already have Gmail Account you can skip to step 2. Open Contact apps, and click setting menu. Step 3: If you want to export or import you contact from USB storage or sim, you can select Import/Export menu. For our Google Sync method we will choose account menu at the bottom of screen. Select Add account or if you already login your gmail account, select your Email Account. Step 4: Make sure you click all the Sync App Data, Sync Calendar, Sync Chrome, Sync Gmail and most importantly Sync Contacts. Finally, just wait a few minutes and the your phone will be populated with your old contact from the Google Account. Google announce to phase out Google Chrome Apps. Second half of 2017: Windows/Mac/Linux can no longer see Chrome Web Store . Early 2018: Chrome apps will no longer available to Windows/Mac/Linux user. If you build a mobile website now you can build a desktop app too.. Just use electron framework for creating native applications with web technologies. Its is a good idea to prepare now for the next transition of web technology. 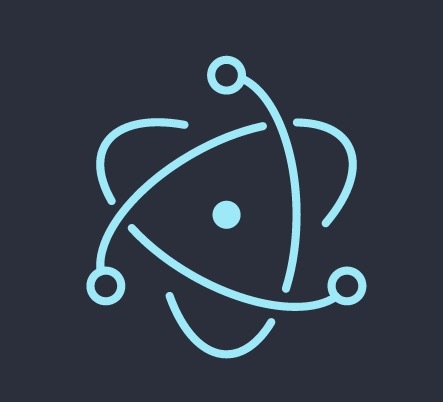 We expect that the Mobile, Web and Desktop app will be the mainstream in the next few years. Visit here for migration information. P/S: We think Google should buy Paypal and integrate it with Chrome store instead of closing it down. Google just release a new version of Android 7.0 Nougat. Android 7.0 Nougat provides a lot of big improvements , stability, extending functionality and refinements over Marshmallow. Its extend functionality such as support Over 1500 emoji including 72 new one, Multi-window view and Quick switch between apps. 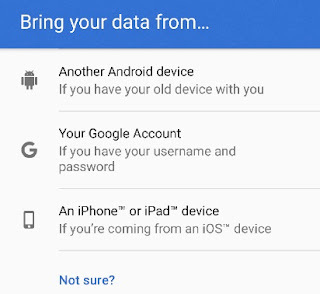 Another important new functionality is the ability to import data not only from your existing Android device and your google account but also the ability to bring data from your iPhone or iPad devices. 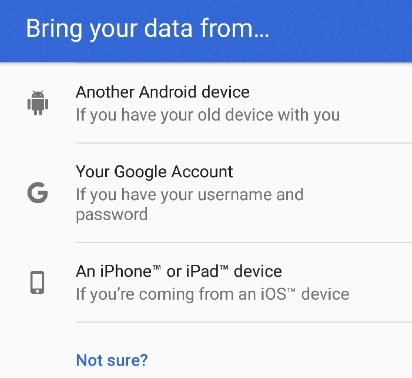 This will make it easy for iOS user to transfer their phone contact, data, and files to the new android 7.0 devices. The setting will ask you to browse the http://www.android.com/switch from your iphone or ipad. The site will teach step by step how to transfer photos, music from itunes, contact from icloud and set up your new email and messaging. You can preregister for Google Alo. 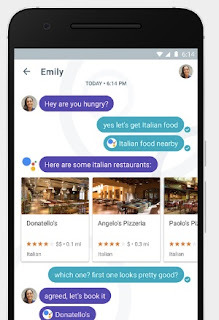 Google Alo is just like a Whatsapp with integrated Google assistant services and aesthetic design. Its also have a smart AI that will automatically reply your message based on your style. 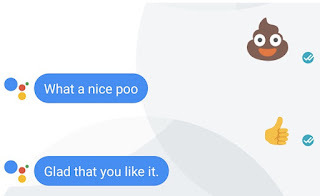 It is also rumour that the AI have develop sense of humour, if you try to send Poo emoji, the assistant will reply with "what a nice poo"..
You can also use ink function to draw on your photo before sending to your friends or families. Google Alo have a new modern stickers function that lets you communicate better and say what you really means. Google Alo really respect your privacy with icognito mode, where you can chat privately in end to end communication and avoid hacker from intercepting your message. Just like a whatsapp, you can chat, share location, voice messaging, gif and annotation. Unlike other google services, its tied to your mobile phone number and also you existing google account. The Google Alo app is available on Google Play but still in alpha version. You can preregister early and get the application when its become beta version. The application serves as a guide or reference to check consumer product prices. This app is suitable for Malaysian people who want to save cost and avoid unfair price This apps using OFFLINE and online search. 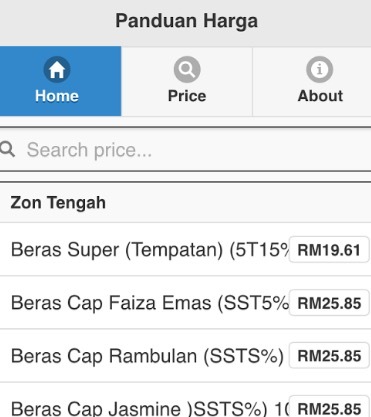 You can check local price and compare with your shopping list. We also include 30 tips for saving money. You can use this apps to plan your monthly budget and do mykira - kira correctly and easily. 1. Compare price offline without Internet connection. 2. Compare latest price online with Internet connection. 3. Jimat and avoid unfair price. 5. Modern and mobile interface. Update: Improve the search function and update the broken online search function. Google Team have created a downloadable guide to help developers find success with their app and game businesses on Google Play. It features tips, and best practices to help build an effective business strategy. It show you the best practices to grow your app or game business on Google Play.